In what ways did Shakespeare’s son-in-law, John Hall, and his contemporaries understand their minds and bodies, health and disease? How did this feed into the medicine of the time? During this period, there was a revival of the Classical medicine of Ancient Greece and Rome, particularly the ideas of the Greek philosopher Hippocrates and the Roman physician Galen of Pergamon. This system of medicine was known as ‘humoral medicine’ and was based on the idea that the human body was controlled by four fluids, known as humors. These humors were yellow bile, black bile, blood and phlegm. The four humors were attributed different qualities which affected the body’s temperature and other properties. For instance blood was believed to make the body hot and wet, yellow-bile hot and dry, black-bile cold and dry, and phlegm cold and wet. The balance of humors were slightly different in each individual, affecting both their physical and psychological temperament. A person with an excess of yellow bile was thought to be choleric or bad tempered. Too much blood would produce a sanguine or optimistic character. An individual dominated by phlegm would be phlegmatic, calm and unemotional. Lastly, a person in whom black bile predominated was likely to be melancholy and irritable. Even today, we still reference this sort of ideology for example when describing someone with a short temper as ‘hot-blooded’, and telling them to ‘cool down’. Beliefs about the body were also closely associated with ideas of religion, and the body was seen as evidence of God's divine workmanship, as a miniature version or ‘microcosm’ of the whole universe. As such, heavenly bodies such as the sun, moon, planets and constellations, were thought to influence specific human body parts. For example, Scorpio was thought to rule the reproductive organs and Aries to rule the head. These ideas were surprisingly common, and there were physicians such as Richard Napier, who looked at horoscopes and astrological signs in order to diagnose and treat patients. Disease was thought to be caused by an imbalance of the humors or where they became tainted or corrupt. Changes in climate, emotional upset, a lack of exercise, bad diet and even the movement of the stars and the planets could affect the balance or state of the humors. In order to treat a patient, a physician had to have an understanding of a patient’s individual balance of humors before the illness. What was understood about the brain? The brain, in the late 1500s and early 1600s, was understood as the site of mental activity: imagination, reason, memory, and judgment. This was partly concluded from observations of people with brain injuries and how that affected their behavior. The brain was also thought to be the seat of the soul. Aristotle suggested the soul was in the heart, but by John Hall's era it was held that the brain was where God and man met. Most physicians divided the soul into three faculties: rational, sensible, and vegetal. The rational soul was the highest soul and only found in human beings. This allowed men and women to understand the laws of God, to comprehend wider truths, and consider universal ideas. It also contained the will, or willpower, and the ability of humans to choose how to respond based on rational thought. It was wrapped up in ideas of original sin, therefore people were naturally inclined to be contrary to God's plan or ideals. But although humans were susceptible to temptation, they could hold themselves in check by the action of the will. The sensible soul, which was also found in the brain, was not exclusive to humans but could also be found in animals. This led to a concept of sensible beasts and rational men and women. The sensible soul was the means by which humans and animals experienced the world. It included the five outward senses: sight, touch, hearing, smell, and taste, and also included inward senses, such as imagination and memory. The sensible soul also interpreted the information brought to it by the other senses. For instance, the eye itself did not know what it was looking at, the image needed to be interpreted by the sensible soul. Finally, there was the vegetal soul, which was found in the liver and was responsible for the basic functions of life; nourishment, growth, the basic functions of the body. It was found in plants and animals as well as humans. The other two souls couldn’t exist without it. What was understood about mental illness at the time? The concept of mental illness was not understood in the same way it is today, but there were illnesses that were believed to specifically affect the brain. Melancholy, for instance, which was characterized as prolonged fear and despair without cause, was considered an illness of the mind. Fits and frenzy were also diseases of the brain. There were other organs, which had very close links to the brain and an illness in one could lead to an illness in the other. For instance, your brain could be ill ‘by consent’ of the liver, because the brain had very close links to the liver. Mental disorders had a variety of possible causes, including possession by the devil and his agents, or by witchcraft. Mental illness could however be a positive. Melancholy, for instance, was often associated with intelligence, scholarship, poetry and other arts. In addition, it could be difficult to diagnose someone as having a mental illness, because signs like hallucinations, visions of angels, Christ, or the devil etc. might be signs of a genuine religious experience. The natural and supernatural were closely intertwined. What medical methods were common in this period? Uroscopy was a very popular method of diagnosis in this period. This involved a physician examining a patient's urine to determine the nature of their illness. Physicians would look at the colour, any sediment or unusual elements in the urine, its smell and taste, as well as looking at any variation in a patient’s urine over a period of time. This was a cheap and easy method of diagnosis. It wasn’t even necessary to visit a physician, there were messengers who were responsible for collecting it and carrying it to the doctor. Uroscopy came under attack in the late 1500s, early 1600s. A lot of physicians considered it to be a poor way of diagnosing a patient because it didn't take into account broader symptoms observed from visiting them in person. But it was very popular with laypeople, and the practice continued. Astrology was another important tool in diagnosis. Physicians could consult their patient’s astrological chart to help them decide on a course of treatment. Bloodletting was one of the most common forms of treatment in this era. It stemmed from the theory that illness was caused by an imbalance or corruption of the humors. The idea was to remove the humour that was tainted or in excess. They did this by draining blood from the patient. Venesection - cutting of the vein with a sharp blade and letting the patient’s blood drain out into a bowl. Cupping – scarify a section of skin, and then place a warm glass cup over this area. As the glass cools, it created a vacuum, drawing the blood out. This was a less common method than venesection. Leeches – also less popular than venesection at the time. Another important means of treatment in this era was the use of remedies. The natural world was seen as a vast store of possible cures, which were available to the rich and poor. Remedies that required only one ingredient were called "Simples" examples include dandelion, which was given to a patient to provoke urine. Most remedies were made up of a variety of components formed of plant, animal, or inorganic matter. Astrology was used as a guide to the best plants for a particular ailment and the best times to pick them. The doctrine of signatures was another method of choosing ingredients for remedies. The theory was that if a plant looked like a part of the body, then it would likely cure that part, for example, trefoil was used for heart disease and liverwort for liver disease. The leaves of these plants look like the organs to be treated. There were increasing efforts made in this era to rediscover the remedies and plants of the classical practitioners, such as Galen of Pergamon, because they recognized that he was describing things in his works that might not be growing in Britain. The range of available herbs was also expanding because of the voyages to America and other parts of the world, which meant new plants were being discovered. Herbs and plants were also ascribed the same qualities as the humors (hot, dry, cold and moist) and were chosen to counteract the imbalance in the patient. For example, an excess of blood, which is hot and wet, could be treated with a remedy that was cold and dry. At the same time, a lot of remedies were used as emetics, purgatives, or enemas, with the idea, as with bloodletting, to remove the excess or tainted humour from the body, through vomiting, sweating or emptying the bowels. The use of chemical remedies was also increasing at this time, as a result of the teachings of the Swiss-German philosopher, Paracelsus. Paracelsus presented a different model of the human body. While he did not entirely deny the humors, he regarded the body as a concoction of three primary chemicals: mercury, sulphur, and salt. As a result, he recommended chemical remedies, for example, using mercury in the treatment of syphilis. He didn't have many works published in his lifetime, but his ideas spread across Europe in the later 1500s. Paracelsus’ overall philosophy was largely rejected but the use of chemical remedies expanded. The "Pharmacopoeia Londinensis", published in 1618 in London, by the Royal College of Physicians, included chemical remedies although they were still secondary to the herbal, plant and animal matter outlined by Galen. What was surgery like during this period? Surgery was mainly concerned with ailments on the surface of the body. Surgeons routinely dealt with boils, rotten teeth, tumors, dislocations, fractures, amputations, cancerous limbs, kidney stones, cataracts, burns, knife wounds, gunshot wounds, and ulcers etc. Surgeons were also responsible for bloodletting. Surgeons were not only responsible for the operation but also took on the aftercare of patients. There was little way of preventing pain and surgical treatises at the time emphasized the fact that excessive pain could result in shock and even death. As such, there were a lot of efforts made to limit pain using alcohol and remedies to limited effect. Ultimately, the surgeon relied on speed and accuracy to limit the suffering of the patient. It is worth remembering though, that patients were often driven to surgery because of unbearable pain. In this period, surgeons could refuse treatment if they considered the case to be incurable. This was partly an ethical choice but also a high death rate might not help in attracting potential customers. Surgeons could also be sued if they failed or made mistakes. For example, a case in 1605 showed that the surgeon, Pascall Lane, was imprisoned and fined after an operation on a young girl resulted in her death. However, the decision whether or not to operate on a patient could be transferred to a panel of expert surgeons of the Company of Barber Surgeons. This panel would evaluate the case and decide whether it was worth proceeding. This offered protection for surgeons from lawsuits. Which medicinal discoveries were made in this age and how did they act as a foundation for modern medicine? In 1543, Andreas Vesalius, Professor of Surgery and Anatomy at the University of Padua, provided the most accurate account of human anatomy yet produced, in his treatise, , "De humani corporis fabrica," which translates to "The Fabric of the Human Body." His work was based on knowledge derived from human dissection. Up to this point, knowledge of human anatomy was largely based on ancient texts, particularly the works of Galen. However, Galen had only dissected animals and so Vesalius was able to correct many of his errors. For example, the rete mirabile is a tangle of blood vessels found at the base of the brain in some animals. Galen wrongly assumed that it also existed in humans but Vesalius was able to correct this. Vesalius stressed the importance of personal observation rather than a reliance on ancient texts. Later anatomists followed Vesalius' lead and conducted their own dissections, making further discoveries. For instance, Gabriel Falloppio outlined the female reproductive system and Girolamo Fabrizio depicted the valves in the veins. It is important to stress however that anatomists at this point were only really concerned with describing the body, rather than understanding how it functioned. Nonetheless the understanding of the anatomy of the human body was greatly advanced at this time. William Harvey was a contemporary of John Hall at Cambridge. He also served as physician to James I and Charles I, and was a lecturer in anatomy at the Royal College of Physicians. He felt it was not enough to describe the body, it was also necessary to know the functions of the different parts. He is widely hailed as the founder of modern physiology. His seminal work, De Motu Cordis, published in 1628, Harvey revealed his discovery that blood is pumped in an endless circle around the body by the heart. His work was aided by earlier anatomists, including Fabrizio, who depicted the valves in the veins, showing that blood couldn't run backwards; but also by the Italian anatomist Realdo Colombo, who had described the movement of blood between the heart and lungs. Up until this point, it was thought that blood flowed to the parts of the body where it was needed, where it was used up. New blood was constantly formed therefore. Harvey calculated the amount of blood that would have to be formed over and over again to allow for this system and concluded that more blood than was found in the whole body would be used up in 15 minutes. 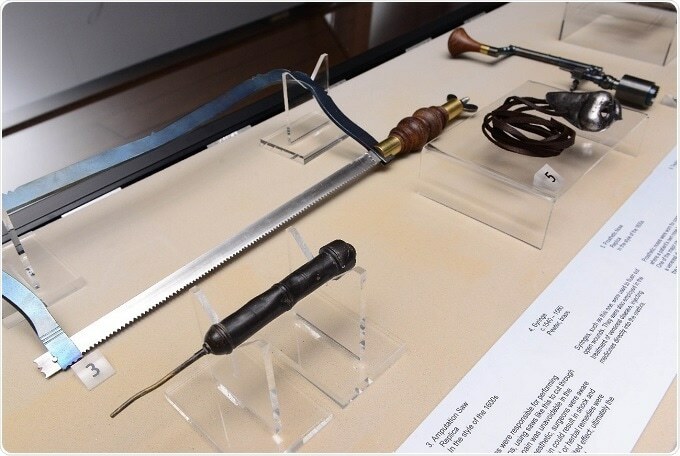 He performed vivisections, tied ligatures and tracked blood in different parts of the body, using his experiments to reveal that blood moves in an endless circuit around the body with the heart acting as a pump. His work was attacked by Galenists but ultimately accepted. What can we learn from medical methods of this period? Nowadays, it often seems that there is a stronger focus on treating the disease, compared to this era, when it was more about treating the patient. In the late 1500s and early 1600s, treatments were extremely individualized. For example, it was necessary to understand a patient's individual humoral makeup in order to know how best to treat that particular individual. . Most things are becoming impersonalized because of realities of modern life. But in this era, it was likely a doctor knew all his patients quite intimately, and so care was about the patient, and the need for an individual cure for them. Obviously there were recognized illnesses such as scurvy which were cured with remedies such as watercress and scurvy grass, which are very high in Vitamin C. But physicians at the time did not know this and their prescriptions were based on the humoral theory of the body, disease and illness. While there was a very different concept of mental illness than that which we hold today, there were recognized afflictions of the brain. At this time, those suffering with a mental malady were almost exclusively cared for in the home. There's advice in a book called "The Anatomy of Melancholy" which was written by a man called Robert Burton in 1621. He describes that when someone is suffering from melancholy, they should cultivate friendships and seek wise counsel, listen to cheerful music and distract themselves. It's almost a more comparable system to that in place today, than the asylum system of the 1700s and 1800s. It's almost like care went backwards before it came forwards again. Bethlem Royal Hospital is, of course, an exception to this rule, but it was very small at this time, housing fewer than 30 patients in 1620. Are there any myths about medicine in this period that you’d like to dispel? The main myth I wish to dispel, and that the exhibition tries to convey, is that although the treatments, such as bloodletting, and some of the remedies of the era seem crude and quite bizarre, all the medical treatments carried out were based on an incredibly comprehensive and logical understanding of the body and mind, based on the information available at the time. The humors provided a logical system. The mind, the body, this whole idea of a microcosm of the universe, how the stars and planets interact with the body and the souls etc. It's a well-thought through, comprehensive and logical system, which was the foundation for treatments. Similar to how we practise medicine today, having a system based on our most recent understanding of our mind and body, and I think people forget that. A lot of people also have this idea of this marauding Bedlam, when in reality, it doesn’t seem to have been the case. Although, Bethlem existed and there were certainly scandals, this only accounts for about 30 patients and most patients suffering a mental illness were cared for at home. People have this idea that patients who suffered from mental illness were all locked up, but this was not typical. The asylum system didn't take hold for a long time after this. On top of that, where there were injustices at Bethlem, inquiries were held and personnel removed because injustices and ill treatment don’t seem to have simply been accepted fact like a lot of people believe. Where can readers find more information? Method in the Madness is a permanent exhibition at Hall’s Croft (until further notice). Entry to Hall’s Croft is included in the Town Houses pass (Shakespeare’s Birthplace, Shakespeare’s New Place and Hall’s Croft) and costs £17.50 for adults, £11.50 for children or £46.50 for a family (2 adults and up to 4 children, under 3s go free). All tickets are valid for 12 months unlimited entry, book online at www.shakespeare.org.uk and save 10%. 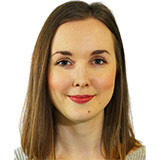 Lucy Dale graduated with a BA (Hons) degree in History from the University of Exeter in 2012. Her main area of focus was the twentieth century, specializing in her final year on the strategic bombing campaigns of the Second World War. Following her degree, she spent 18 months studying screenwriting at Central Film School, London, graduating in 2014. She dedicated the next year to writing and working a number of part time jobs before she was employed as a Research Assistant at the Imperial War Museum (IWM). She spent eight months at IWM, Duxford, working as part of the project team responsible for the new American Air Museum. Her contract expired with the opening of the exhibition and she then went on to work for the Shakespeare Birthplace Trust as Access and Interpretation Officer. 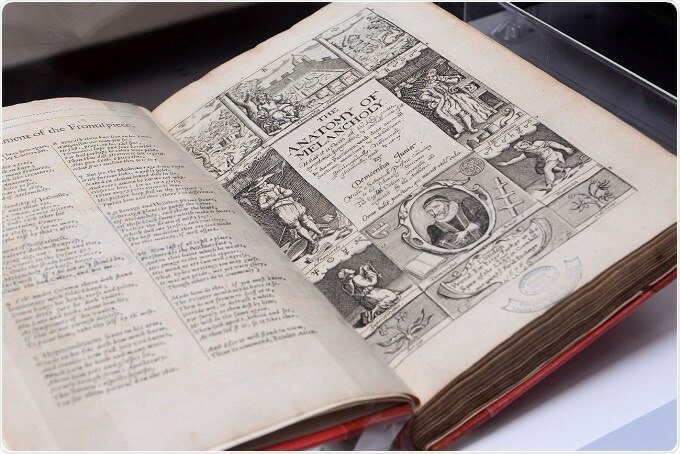 In this capacity, she looks after the Trust’s existing exhibitions across the five Shakespeare houses and recently developed a new one, Method in the Madness: Understanding Ourselves Then & Now. 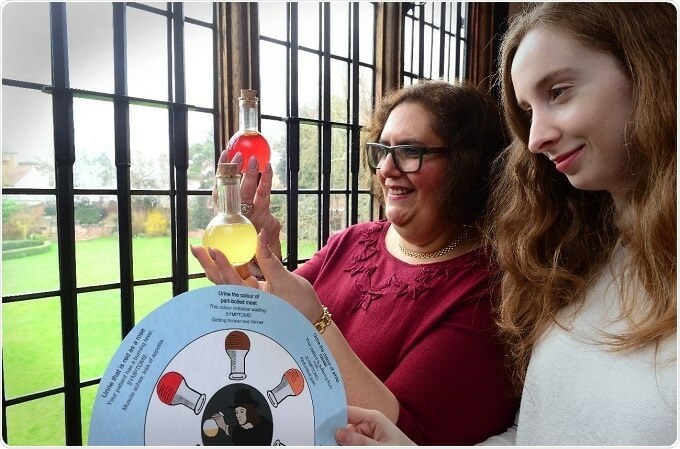 This exhibition, which explores medicine in the late Tudor and Jacobean eras, officially launched at Hall’s Croft, home of Shakespeare’s daughter Susanna and her physician husband, John Hall on the 18th March 2017. 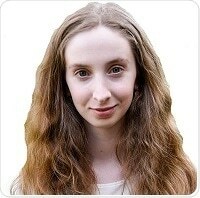 April graduated with a first-class honours degree in Natural Sciences from Pembroke College, University of Cambridge. During her time as Editor-in-Chief, News-Medical (2012-2017), she kickstarted the content production process and helped to grow the website readership to over 60 million visitors per year. Through interviewing global thought leaders in medicine and life sciences, including Nobel laureates, April developed a passion for neuroscience and now works at the Sainsbury Wellcome Centre for Neural Circuits and Behaviour, located within UCL.